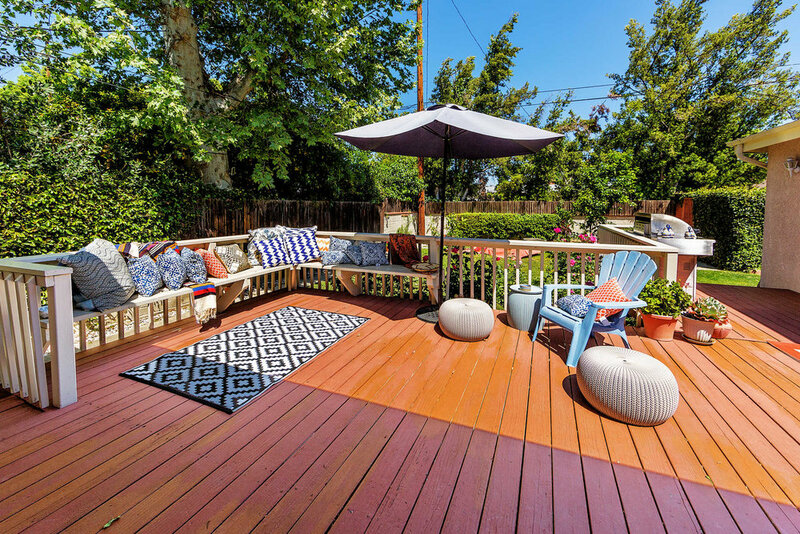 Located in prime Sherman Oaks, this traditional family home has it all. The spacious bright living room with attached dining room boasts hardwood floors, high ceilings, recessed lighting and sliding glass windows that open onto a charming deck and private garden with fragrant roses — perfect for indoor-outdoor entertaining. The four-bedroom, three-bathroom home has a kitchen with breakfast dining area and plenty of storage throughout. Located in a great family neighborhood yet conveniently close to the 101 and 405 freeways, this house is charming as has endless potential to take to the next level. Award-winning Kester Elementary (per LAUSD - buyer to verify school and availability). Great value - a must-see.